Landing page optimization and search engine optimization are two completely different entities. While optimizing to convince a human to take an action – such as buy, or fill out a lead form – can clearly increase your conversions, what effect will it have on those computerized spiders that visit your site and determine your SERP ranking? 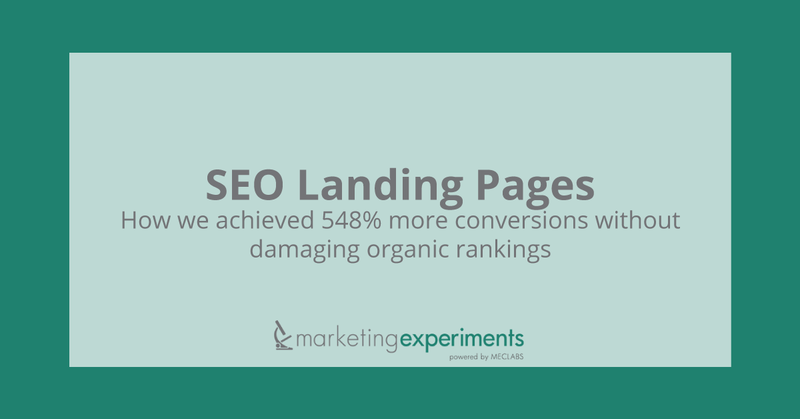 In other words, how can you get the highest possible conversion rate on a landing page that receives most of its traffic from organic search? Many marketers are scared that any testing on a page could damage search rankings and hurt traffic – both during the test and after – when they’ve chosen the page that produces the most conversions. So how do you reconcile the two types of optimization? Is there a way to test and optimize to improve ROI on the traffic you receive without damaging organic rankings for a particular landing page, and threatening future traffic? In this Web clinic replay, Dr. Flint McGlaughlin answered this fundamental question to show how to balance the two types of optimization on a specific page. Near the end of the clinic, Dr. McGlaughlin, Aaron Rosenthal, and Jon Powell (former Research Analyst and Research Manager respectively) reviewed audience-submitted pages, offering testing suggestions, and optimizing pages for conversion while minimizing risk to organic rankings. View the clinic replay, or listen to the audio recording (mp3), to learn from our researchers as they discuss how to reconcile SEO and LPO on one landing page for maximum revenue.